Maria and I are ready to begin our fun days stitching together again. We had to call a halt for the second part of last year due to the fact that I nursed my husband, unsuccessfully, through cancer. Sadly he passed away in October; it was a short and spirited fight but the disease was too strong for him to win. We have many plans for this year, so watch this space, and are also looking forward to workshop holidays together. 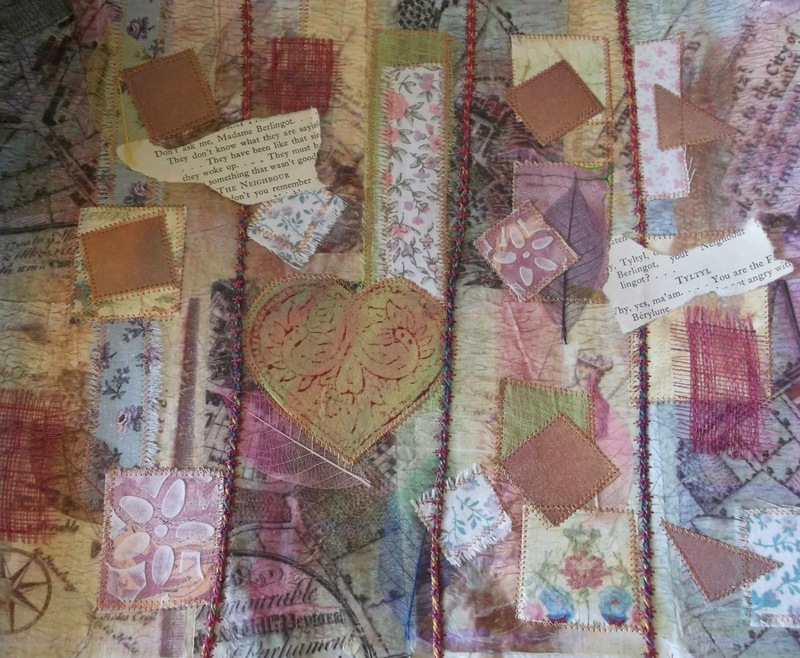 I have posted photographs of our previous projects which are still to be finished, based on mixed media ideas by Beryl Taylor. 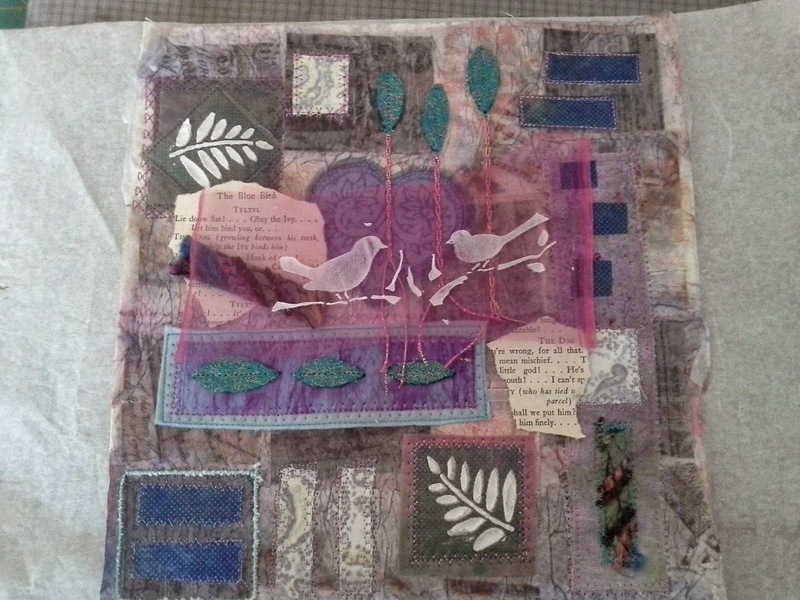 This work is fabric based and has tissue and torn paper additions covered with pva. We have added printed cottons and a variety of items such as dried leaves, torn pages from old books, cotton and sheers stencilled with moulding paste and painted pelmet vilene. There has been some machine embroidery added but still have a way to go.